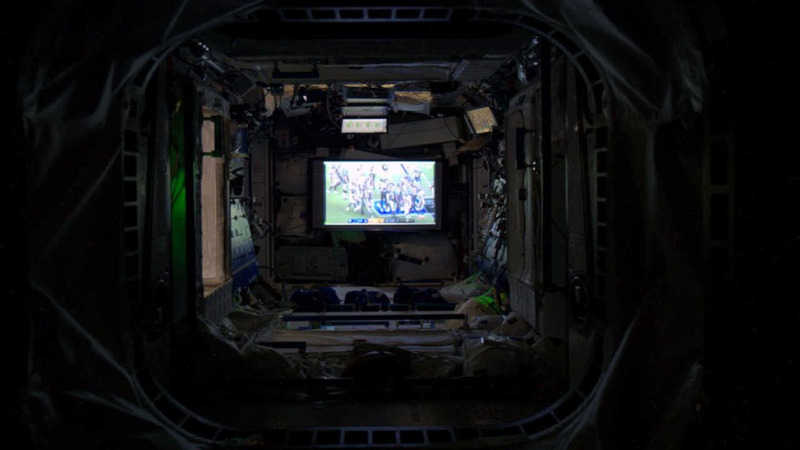 Ever wonder what it would be like to watch the Super Bowl from outer space? Ever wonder what it would be like to watch the Super Bowl from space? Astronaut Scott Kelly tweeted a picture from the International Space Station Sunday. We're not quite sure, but we're betting those nachos would be out-of-this-world! But why watch on TV, when you get to see it in person? Kelly also tweeted a picture over San Francisco earlier in the morning.